We decided to spread around a little extra good karma this holiday season! Starting this week, we’re giving away a select number of orders through the holidays! What’s better than free eco-friendly and ethically made goodies?! 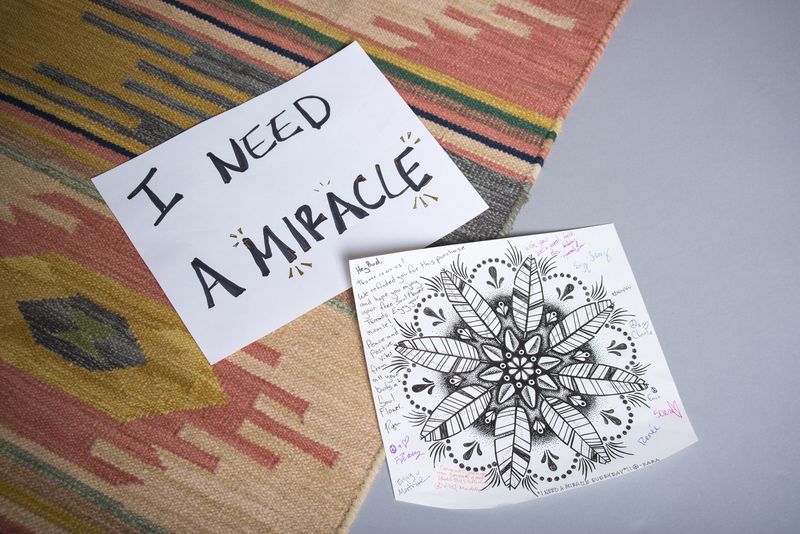 Place an order with us before December 25th and write “I need a miracle” in the notes section! If we select you, we’ll mail you your order and refund you for the amount you spent. Just because! Open to US residents only. At Grateful Dead shows of the past, if you didn’t have a ticket, you could get a miracle (a free ticket) just by making a sign or holding a finger up in the air before a show. Another fan would give you a ticket if they had an extra, versus selling it to you, out of the kindness of their heart and desire to spread good vibes! What a very lovely thing to do! Thank you! Great Idea.. 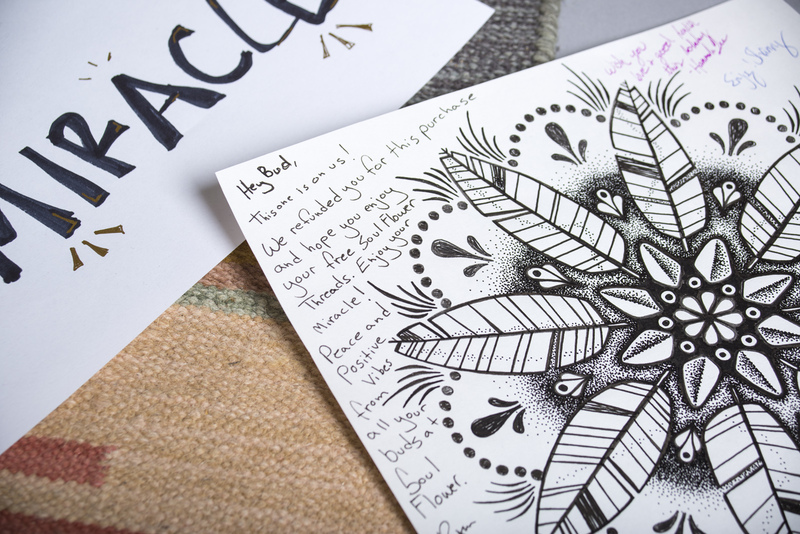 I would just need a miracle to be able to place an order..but I do enjoy looking and appreciating your designs and beauty! ! I got a miracle today already, someone brought me a sweet tree they cut from their land and brought it to me and got it into the stand that I had found at the community center hoping to have a tree. I am so happy to have a live Christmas tree in my dwelling ready to be dressed for the Holy Days. Love you guys!!! My favorite favorite go to for economic friendly, amazing threads!! You all are so very kind to do this gift giveaway!! Thank you for everything and Happy Hippie Holidays to you all!! !